Students Against Private Police organized one of the largest campus protests just days after the University announced its intent to create a campus police force on March 8, 2018. Junior Alicia Badea and graduate student Quinn Lester, who are members of SAPP, spoke to The News-Letter about why they remain vehemently opposed to a Hopkins police force. Editor’s Note: This interview has been condensed and edited for clarity. 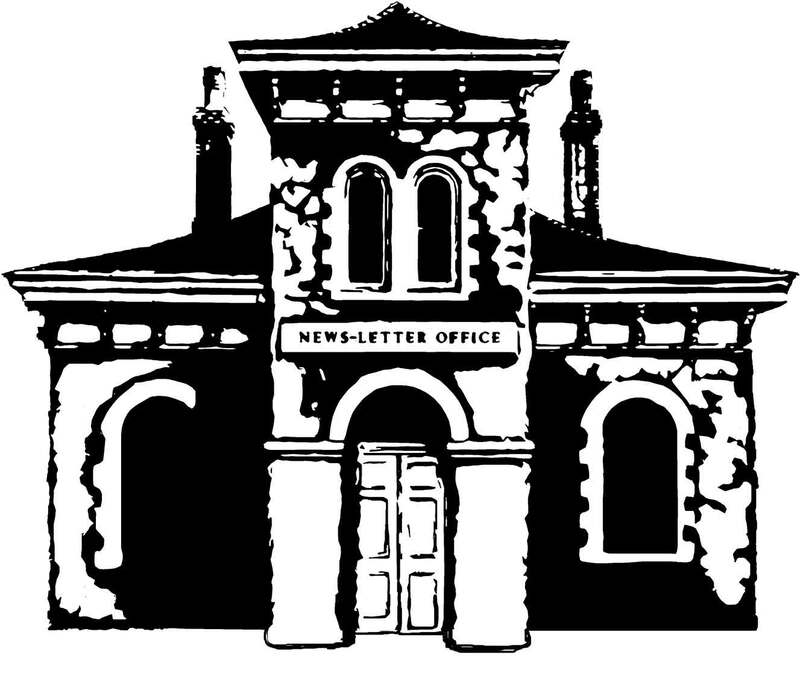 News-Letter: What is the makeup of SAPP? Who is involved in the organization? Alicia Badea: SAPP is really a coalition. In addition to students, community members attend our meetings. For example, National Nurses United helps us with legislative strategies. We have had meetings with the Greater Remington Improvement Association, Charles Village Civic Association and Baltimoreans United in Leadership Development. Bonnie Lane, who has run for positions in local government, also supports us. Quinn Lester: It is a fluid organization which depends on the actions that the club takes. Right now we have a lot of people who are engaged in going to the Maryland General Assembly and talking to legislators. N-L: On the SAPP Facebook page there is a document called “Private Police force 101” that lists the reasons SAPP is opposed to the formation of a private police. Seven points of contention are listed. Which ones do you consider most important? QL: Private police forces tend to become independent organizations without meaningful oversight from neither the student nor neighborhood populations. We already have an over-policed community. Despite trainings, [the force] will engage in racial-profiling; they will target poor communities and the homeless. It will add more stress and violence to already targeted people in the community. AB: The relationship between Hopkins and the community is unique in how fraught, harmful and divisive it has been. There is also the issue of accountability and transparency. One person accused the administration of thinking that Hopkins lives matter more. I don’t think there is any other more direct way of stating the issue. N-L: Do you feel that the University has been open to dialogue and communication about the force? AB: We have seen from forums and meetings that Hopkins is on a defensive mode. That has been the attitude since the first email that President Ron Daniels sent. QL: It has been clear through the overwhelming SGA referendums that undergrads oppose the force. Neighborhood organizations oppose it, constituents oppose it, all the feedback that Hopkins is getting is that people don’t want it. People asked administrators point-blank: “Will you push through with this bill even if the whole city is against you?” and the administrators responded, “Yes.” They’re willing to push through with this bill even if they know that all of Baltimore is against it. N-L: SAPP has stated that Michael Bloomberg’s pro-police force stance reinforces, “the idea that Hopkins is not actually concerned with public safety.” Can you elaborate? QL: Bloomberg frames it as an issue where students are choosing not to come to Hopkins. That is not true because there is no decline in student enrollments. If there is a perception issue, it’s the issue of parents and students who are states away. N-L: Why did SAPP reject a meeting with University administration to discuss the private police force? AB: It’s not that we were opposed to meeting with them; it’s that they did not want a reporter present in the room but we did. It is very questionable as to why they are being so secretive and closed-off about this whole process when they aim to be transparent and held accountable. N-L: What alternatives to the private police force do SAPP support? AB: Communities know what is best for them. I think Hopkins can contribute to efforts like more funding for the Baltimore public schools and fighting poverty through strong social safety nets. Supporting conflict mediation groups run by community members, rec centers and places where kids can go after school to be in a safe place will help. QL: Hopkins is being incongruous when they say that the private police force is a measure to lower crime when crime around Hopkins hasn’t been on the rise. The basic alternative would be if Hopkins works with the city rather than imposing measures. AB: We support Safe Streets, which mediates grass root level conflict mediation employing community members who have a level of trust and respect in the community so that they can mediate a conflict before it escalates… Even Daniel Webster at the school of public health who has done research on them has shown [this method] is effective. There is also Baltimore Ceasefire which is community-based and is focused on conflict mediation. N-L: What are SAPP’s goals for this semester and beyond? QL: This semester we want Hopkins to withdraw or not even propose the private police force for this legislative session. It’s important to remember that is an issue which is not just campus-based but involves the whole city and state. Our long-term goal is to see how current security arrangements are impacting the community. AB: We have been meeting representatives in the Md. legislature. We are also meeting with the Baltimore City Council. N-L: Are there any compromises that SAPP would accept? QL: No. At the end of the day this is a matter of people’s lives. I firmly believe that if Hopkins had a private police force, someone will die because of it. So we really cannot deviate from our stance.